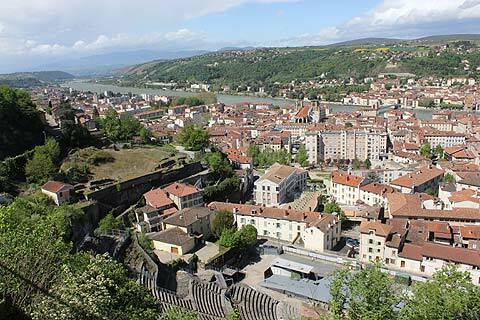 Vienne is an important town in the Rhone-Alpes region, in the Isere department south of Lyon. 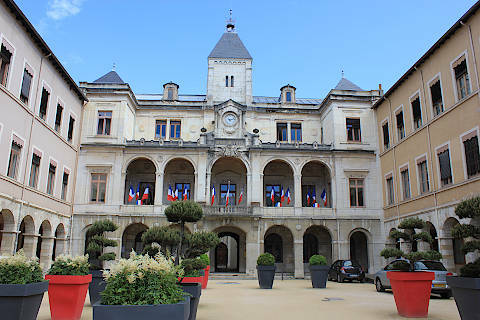 The town has a long and prestigious history dating back to the Allobroges, a tribe of gauls, and by Roman times Vienne was an important regional city. 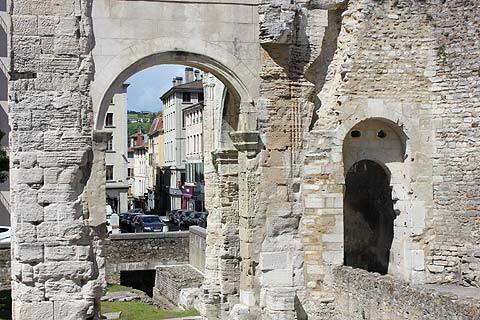 Although it started to lose importance to Lyon after the middle ages the town has several important monuments from both the roman and medieval eras. 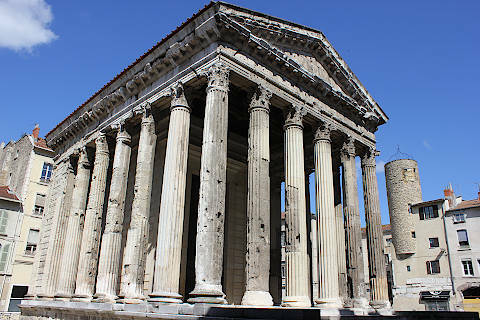 The most impressive roman monument in Vienne is the 'Temple d'Auguste et de Livie' in the original city forum, built during the period 20 to 10 BC and converted into a church during the middle ages. 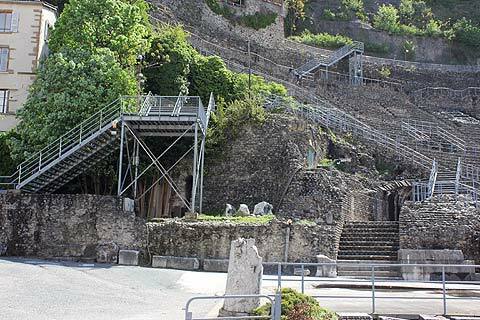 You can also see the roman amphitheatre, still used as the venue for a jazz festival held in Vienne for two weeks at the beginning of July each year; and some thermal baths. The Roman Theatre was built around 40 to 50AD and is one of the largest Roman amphitheatres: it could seat 13,000 people. Excavation works in the Jardin de Cybèle have uncovered further remains of roman buildings, and you will also see the 'pyramid', an obelisk of roman origins that is believed to have once formed the centerpiece of a roman circus (a place used for large events such as chariot races or gladiator fights). Across the Rhone from Vienne the roman ruins at St-Romain-en-Gal features some very good mosaics and statues and an archaeology museum that explains life here at the time of the romans. 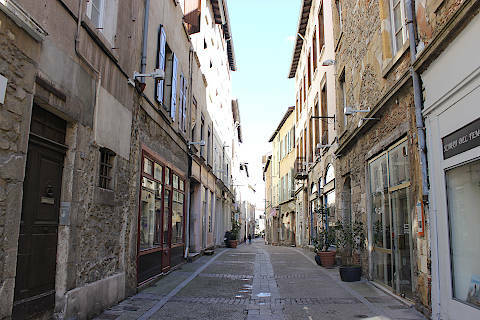 The old town in Vienne contains a number of medieval and balconied houses, typically built in the 16th and 17th centuries. Some of the houses are half-timbered, while others are in stone with intricately carved window surrounds and other decorative features. There are several important religious monuments in Vienne. 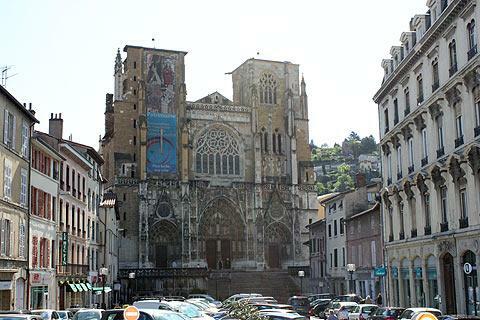 The 13th century former cathedral of Saint Maurice combines both roman and gothic styles. The stonework and carvings of the facade and the biblical characters represented in the capital stones inside the cathedral are among the highlights, and the cathedral also contains some renowned Flanders tapestries. 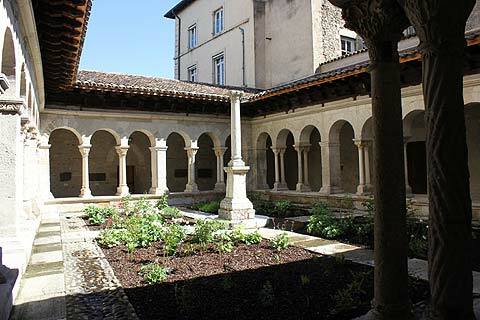 The Church of Saint-André-le-Bas and the associated cloisters were once part of an important abbey complex in Vienne. 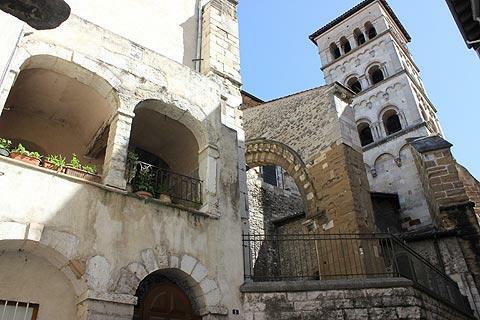 The 12th century roman style church and cloisters have many fine stone carvings, columns and ornately carved capital stones, and are now used for various art exhibitions throughout the year. The Church of Saint-Pierre has very ancient roots (possibly 6th century) and an entrance and belltower added in the 12th century. 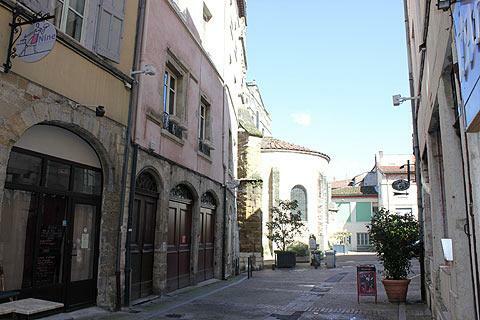 The church is now an Archaeology Museum containing artefacts and statues from the roman era. The Museum of Fine Arts contains items from the roman epoch, as well as more recent items such as pottery and paintings from the last 500 years. Vienne has a daily market in the Place Francois-Mitterand in the centre of town. 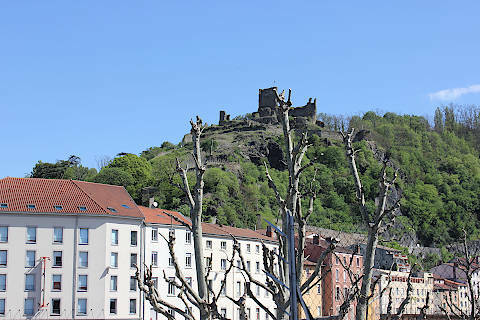 The hill in the centre of the town, the Mont Pipet, once formed part of the roman town then later became a further part of the defences of Vienne. The Chapel of the Virgin Mary and a statue, built in the 19th century, now stands on the hill and is the best place for a view across the rooftops of Vienne and to the hills around the town. 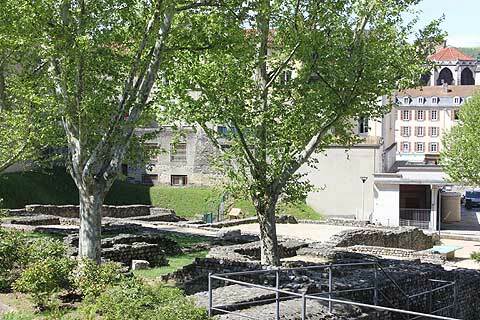 It is quite a steep climb but worth it for the views down over the amphitheatre, the city and the river. 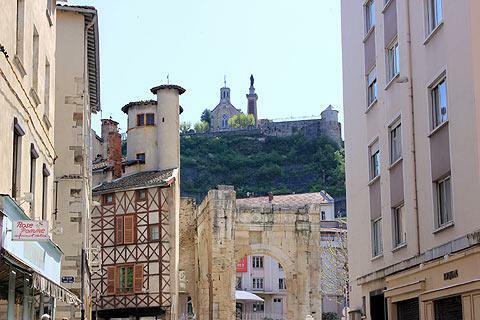 The ruined castle that you can see on one of the hills, across the River Gere facing the town (Mont Salomon), is the Chateau de la Batie, built in the 13th century by the archbishop of Vienne as part of the fortifications of the city (the castle is not open to the public). To the south-east of Vienne the Chateau de Septeme is an important medieval fortress where Catherine de Medici once stayed and originally at the centre of the town of Septeme. 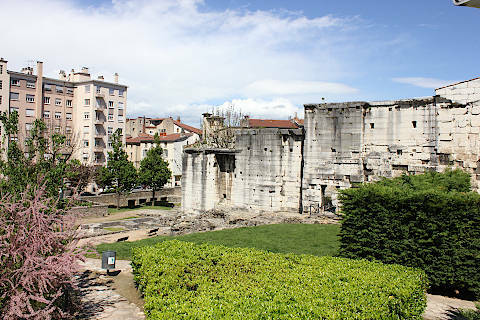 When you visit the medieval castle you can also see the ruins of the earlier castle that stood here and the conciergerie, the only building remaining from the original town. Next to the castle there are attractive gardens within the extensive ramparts that surround the castle grounds.